We had one more sightseeing expedition here. Actually there was a lot more that we wanted to do, but the launch date of our boat Quantum Leap is approaching rapidly and RI is beckoning to us so our time in this area was limited. But now that we’ve had a taste of Cajun country, we know we want to return and do some more exploring someday. 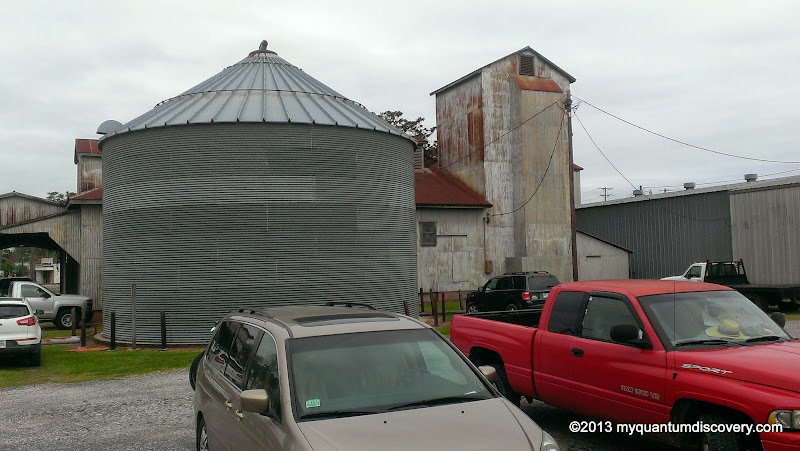 On Friday, April 4th, we headed back to New Iberia where we wanted to tour the Conrad Rice Mill. Have you ever seen or heard of Konrico products, particularly Konrico Wild Pecan Rice? Well, this is where it is made. After arriving there and parking the van, we headed into the store where we were greeted by a very friendly woman. Tours are given at 10am, 11am, 1pm, 2pm and 3pm and admission is $4 for adults or $3.50 for seniors. The tour begins with a slide presentation in a closed off room at the back of the store – initially we were the only ones there but just before it started, two other primarily French speaking couples from Quebec came into the room and then another couple from FL came in. The slide presentation detailed the history of the Cajuns (displaced Acadians from Nova Scotia – quite a sad story that is), Cajun Country and rice growing. Rice is a major staple in Louisiana Cajun cooking – how could you have jambalaya, rice and beans, boudin sausage, or gumbo without rice? 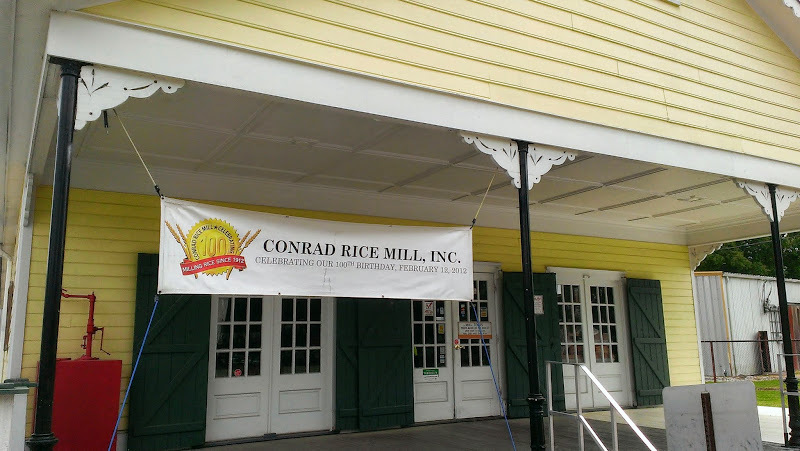 Conrad Rice Mill is the oldest operating rice mill, founded by P. A. Conrad in 1912. At the time, he would cut the rice by hand and let it sun dry on the levees before putting it in the threshers. The rice was poured into 100 pound bags and taken to the mill for processing. Over time, Conrad realized he couldn’t grow enough rice to meet the demands so he started buying grain from the local growers to supplement his crop. The original mill was built in 1914 and additions were added in 1917 and 1930. At that time, the mill only operated three or four months a year. In the 1950’s, the “Konrico” name was trademarked as an the acronym for the Conrad Rice Company. In 1975 after P. A. Conrad and all of his sons had retired, the mill was bought by Mike Davis, a former teacher and farmer. He had the mill back up and running after it had been dormant for two years. Today the mill has approximately 20 employees – a few of them have been with the company for over 40 years! The processing equipment provides a rare example of using belt driven power transmission. After the presentation was over, we were led out of the store and over to the mill. As we walked up the steps of the building, we passed a plaque showing that the mill was placed on the National Register of Historic Landmarks in 1981. Our guide explained that that meant that absolutely no changes could be made to the mill explaining that even if they wanted to add a ramp for the disabled, it couldn’t be done. The only change that they were required to make was to add a gift store and offer tours. Our guide also explained that rice is actually a member of the grass family similar to wheat and that they used to grow rice in the surrounding area but now it is grown further south. Planting of rice usually in March or April requires a flat field usually bordered with a levee to ensure a uniform level of water (about 2 inches). After the rice is planted it takes 120 – 180 days before it is ready to be harvested. After the harvest, the stalks are cut down, the field is re-flooded and it is used to farm crawfish (mudbugs). The crawfish dig and build burrows in the mud and feed on the stubs of the rice plants. Quite a symbiotic relationship between rice and mudbugs – who knew! 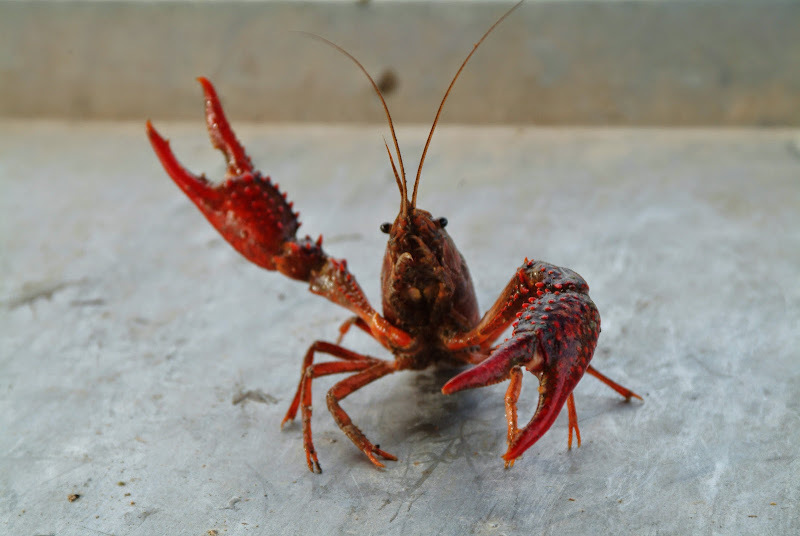 So the farmer not only makes money on his rice crop but also on farming the crawfish. When the trucks arrive at the mill, they drive into a covered area where they dump the rice onto a grate. From there the rice moves to the silo where it is stored until it is ready to be processed. Visitors are only allowed on the first floor of the three floor mill operation so our guide described the mill process using a model which opens up to show the three floors of the mill and the equipment locations. The first step is to remove the outer hull or husks which is done by the paddy machine on the second floor. At this point the healthier, fiber rich and more nutritional brown rice is ready for consumption. To make white rice, the bran layers (hard outer layer of the rice) are removed on the third floor by the pearler which rubs the bran off the grain. Once the bran is removed, the rice goes back up to the third floor where the broken pieces of grain are removed in grading machines. After the milling process, the rice is ready to be packaged. There are several machines which accomplish this. A green machine automatically forms the rice bag, fills it and seals it. The gray machine has a sewing machine and semi automatically drops the rice into a brown bag, trims the top and sews the bag closed. The packing machines can pack from 7 ounce packages to 50 pound bags of rice. Our guide explained that instant rice is made by pre-cooking the rice, then dehydrating it but they do not have the equipment to do that at Conrad. However, Konrico Wild Pecan Brown rice only requires 20 minute cook time unlike other brands of wild rice which take much longer – this is because the bran/germ layer (the part that makes it “brown”) is scored (only about 20% removed) to allow water to penetrate more quickly. 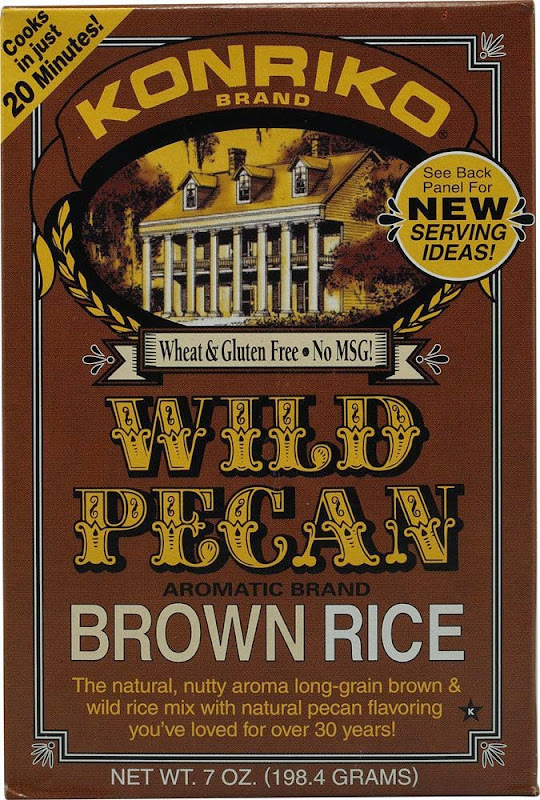 Still an excellent source of rice bran, it’s all natural with a nutty aroma and subtle pecan-like flavor – note it does not actually contain wild rice or pecan pieces. Like a lot of factories and mills, nothing goes to waste here – the husks that are removed by the paddy machines are sold to gardeners to be used as mulch or to farmers to be used as animal bedding; the removed bran is sold for livestock feed and the broken pieces of grain are sold to breweries. After the tour, we went back into the store where we sampled some of their products. 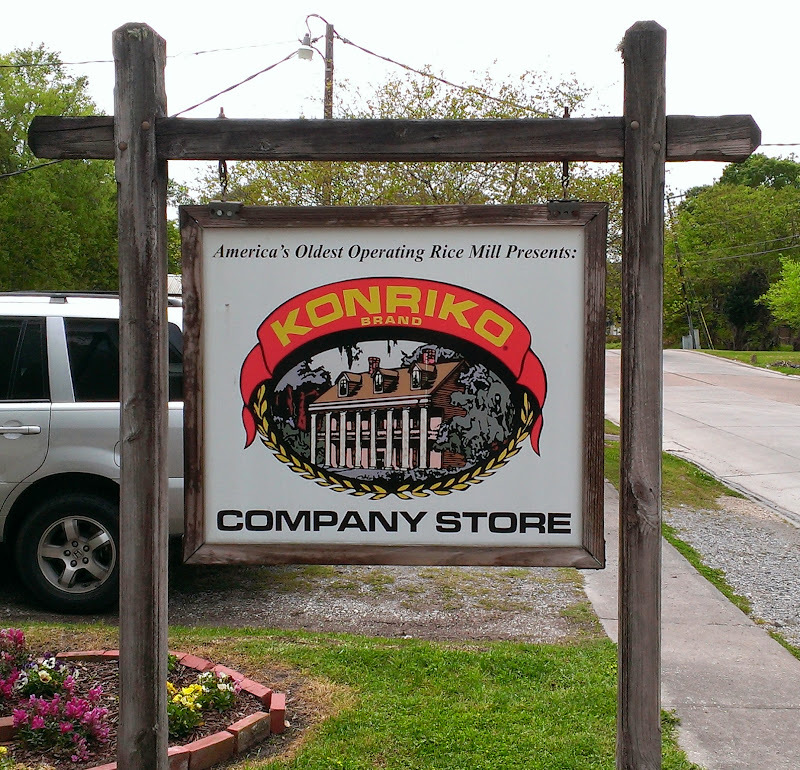 Konrico Wild Pecan Rice is made here so they had a crock pot filled with hot rice for sampling. You could have it plain or could try any number of their seasonings (Creole, Chipotle, Greek, Hot & Spicy plus more) or with Kinloch Pecan Oil (we had bought some of this at the B & B Pecan Co.). Our favorite was the rice with a dash of the pecan oil and the Greek seasoning. So good! Conrad Rice Mill also owns Hol-Grain, which produces many gluten free products and R.M. Quiggs, who makes rice mixes (Yellow, Herb, Curry, Paella, French Onion, Black Bean). These tours are usually pretty cheap but somehow we end up buying a lot of stuff in their stores – nothing like some free samples to temp us. 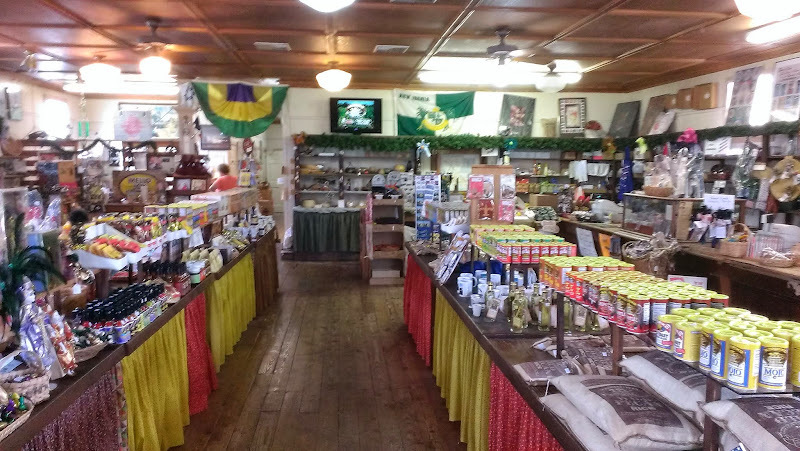 Yep, it happened here – a bag of the Wild Pecan Rice, a box of their artichoke brown rice, a box of their zesty creole rice crackers and the Greek seasoning made it back to the hacienda with us. Can’t wait to try all of it! After the tour, we drove back to the beast where we took a walk and spent a quiet evening. Stay tuned for our next adventure!